Our friend, Todd Bolen, has released the latest in his ongoing series A Photo Companion to the Bible — Acts. It consists of 28 PowerPoints—one for each chapter of the book of Acts. Over 4,000 photos. Right now it is available for $60 off normal price. 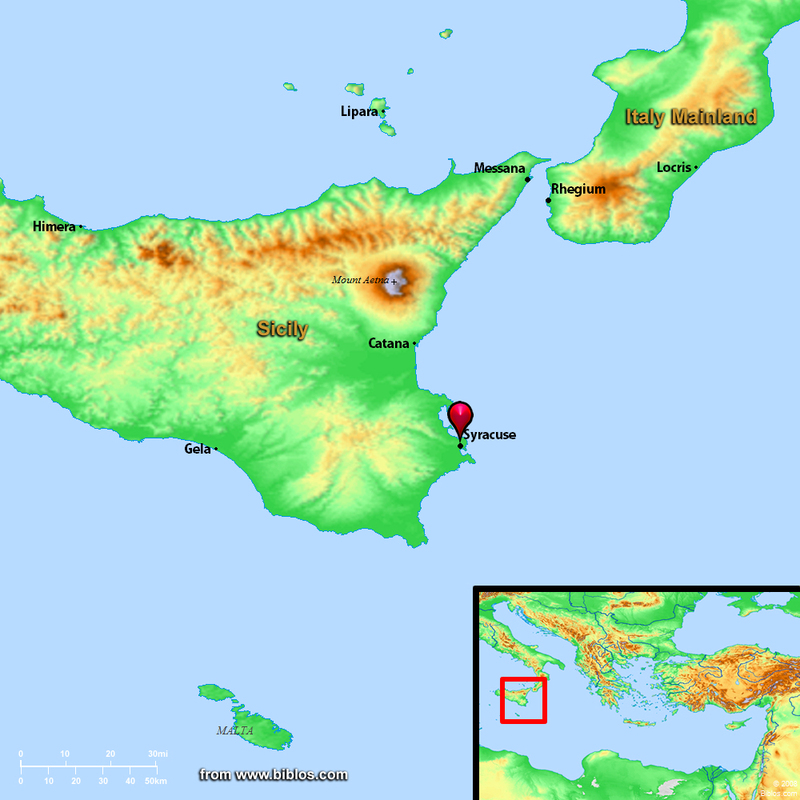 Syracuse was a Greek and Roman city on the southern portion of the east coast of Sicily. Paul spent three days here when the ship that carried him from Malta to Puteoli docked here. (Acts 28:12). Acts 28:11 After three months [on Malta] we put out to sea in a ship that had wintered in the island. It was an Alexandrian ship with the figurehead of the twin gods Castor and Pollux. 12 We put in at Syracuse and stayed there three days. 13 From there we set sail and arrived at Rhegium. The next day the south wind came up, and on the following day we reached Puteoli. This probably happened in the spring of A.D. 60. All of the structures shown below were over 100 years old by the time that the Apostle Paul passed through Syracuse—as a prisoner—on his way to Rome. The Theater of Syracuse originally built in the fifth century BC. The blue in the distance is part of the harbor of ancient Syracuse—where Paul’s ship probably landed. 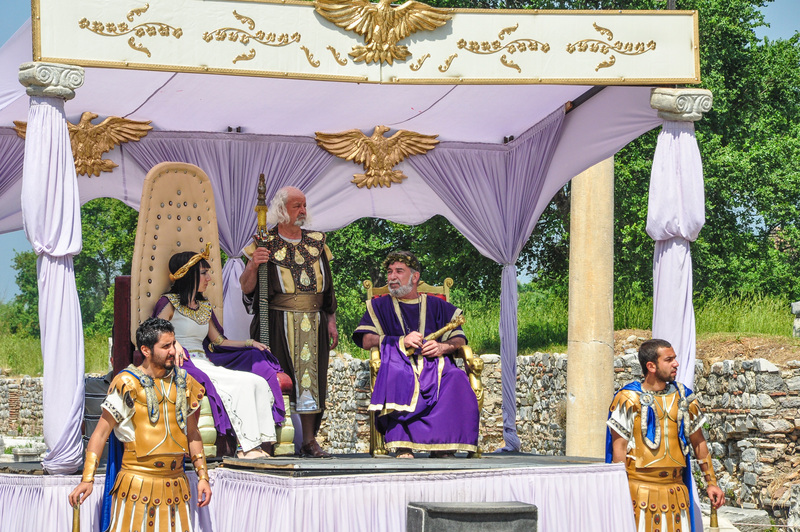 Syracuse was founded in 734 B.C. and reached its zenith in the sixth and fifth centuries B.C. 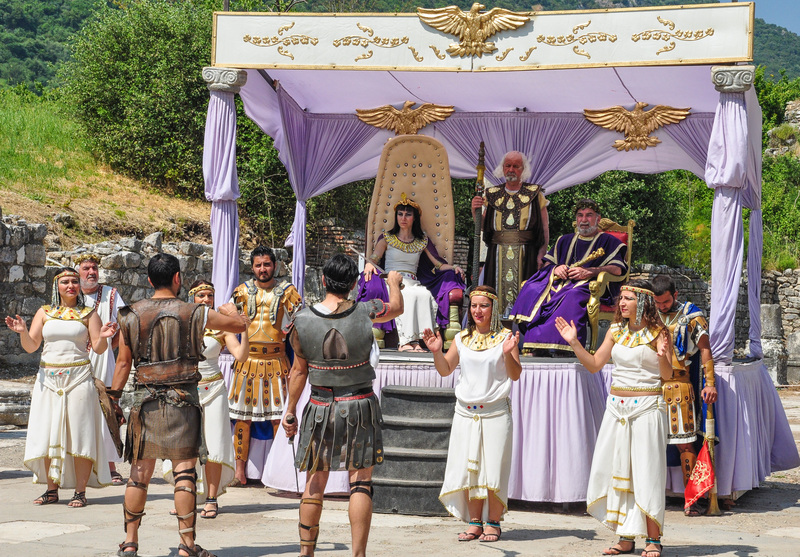 The Athenians laid siege to it (415–413 B.C.) but were seriously defeated and this defeat helped lead to the decline of the Golden Age of Athens. Syracuse, along with the whole of Sicily, was fought over by the Romans and the Carthaginians. 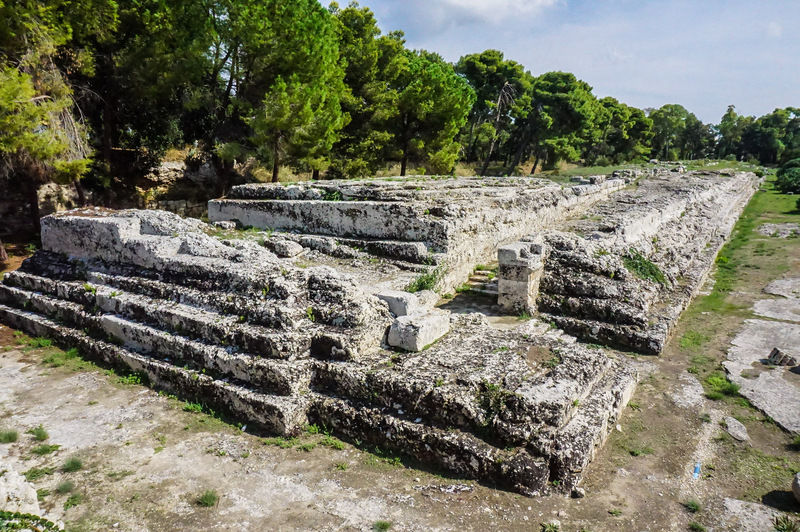 View of the huge altar that was constructed by Hieron II, ruler of Syracuse, in the third century B.C. It is the largest known altar from antiquity. In 212 B.C. Rome conquered the city. 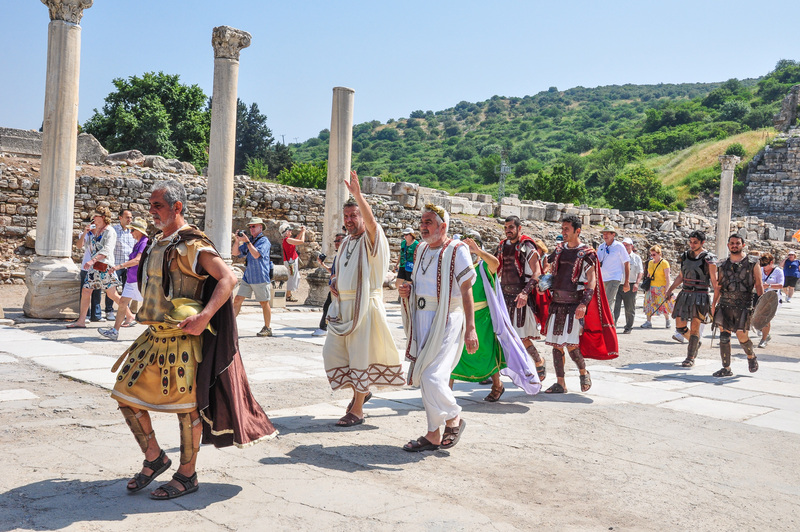 It carried off many Greek captives and many pieces of Greek artwork to Rome. 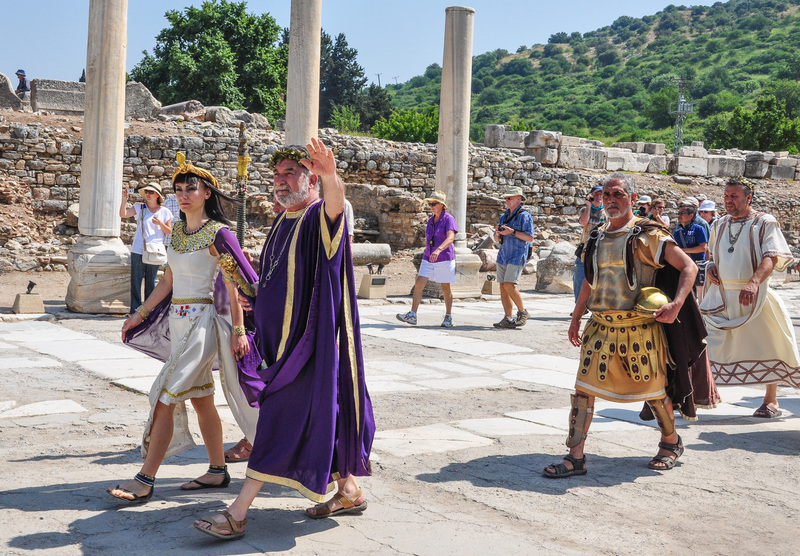 This influx led to the Romans turning their cultural “tastes” towards things Greek. Unfortunately, the great mathematician and inventor, Archimedes, was killed by a Roman soldier, in spite of the order that he was to be spared. 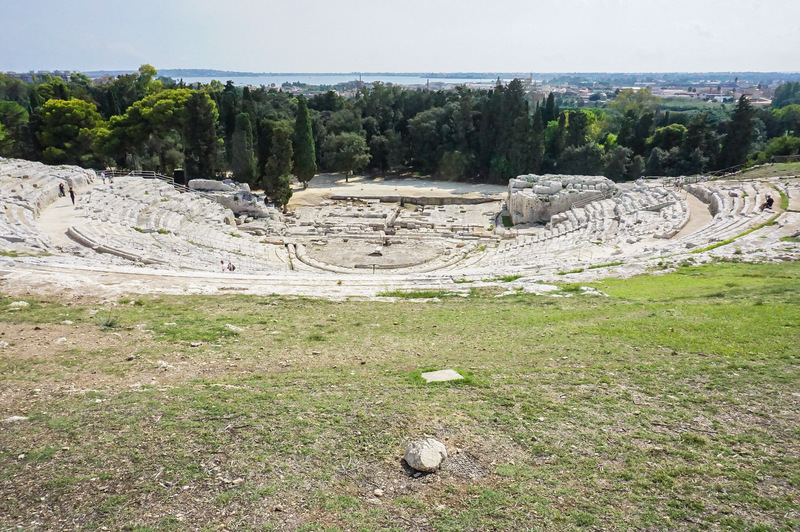 View of the Amphitheater of Syracuse. It was constructed in the late first century BC—and was about 100 years old when Paul passed through Syracuse. 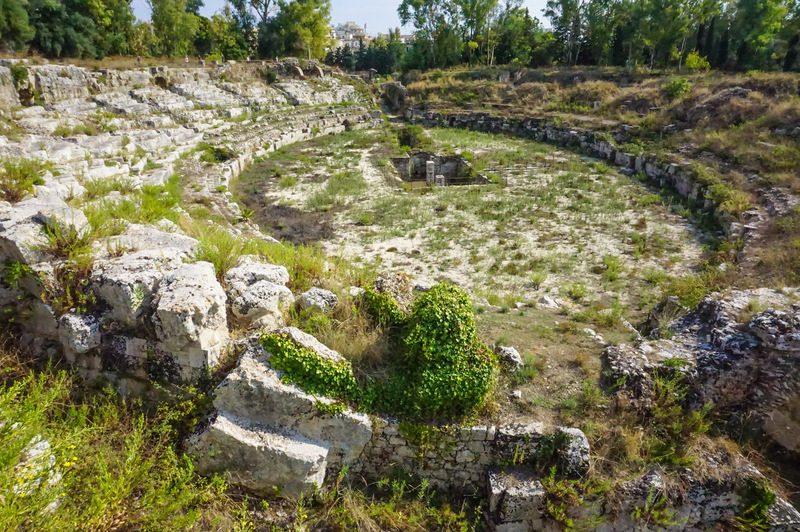 Archaeological remains of the Roman city include an altar, theater, an amphitheater, etc. Additional images can be viewed Here. Would YOU like to follow Paul from Shipwreck on Malta to Martyrdom in Rome? We are doing just that in June, 2019! Check out the link above or see Here. Recently I was able to spend a few days on the Island of Malta where Paul was shipwrecked and then spent 3 months on the island before being transported to Rome for trial (Acts 28:1, 11). One of the highlights of our stay was a visit to the Malta Maritime Museum. 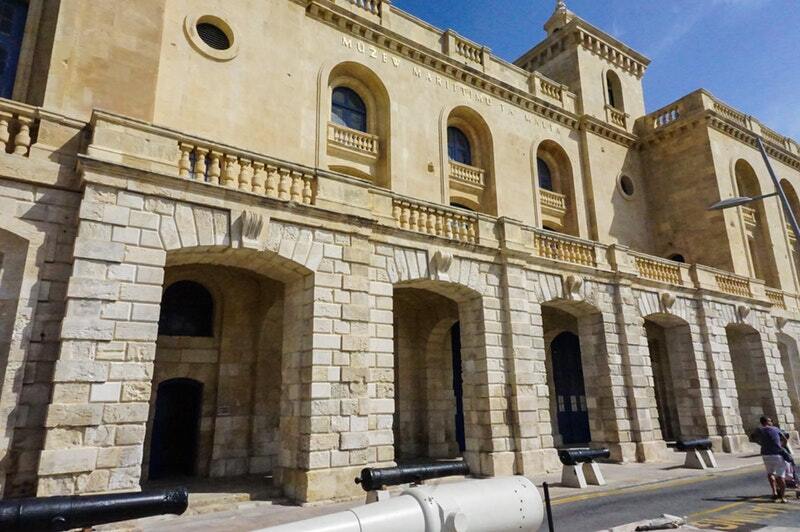 View looking northeast at the exterior of the Malta Maritime Museum. The museum is housed in the former Royal Naval Bakery that was built in the 1840. The bakery supplied naval personnel of the British Mediterranean Fleet. The main part of the collection (97%+) includes boats, models of ships, anchors, amphorae, cannons, etc. But I had come to see the Roman Anchors that figure so prominently in the discussion of where exactly Paul’s ship ran aground and was broken up (see Franz below for a discussion). Acts 27:29 Fearing that we would be dashed against the rocks, they dropped four anchors from the stern and prayed for daylight. 30 In an attempt to escape from the ship, the sailors let the lifeboat down into the sea, pretending they were going to lower some anchors from the bow. Acts 27:40 Cutting loose the anchors, they left them in the sea and at the same time untied the ropes that held the rudders. Then they hoisted the foresail to the wind and made for the beach. After spending over an hour looking at interesting, but not too relevant displays, I had not found the anchors that I was looking for. So I asked the attendants at the entrance about these anchors. Well, it turned out that the display of the ancient anchors was in transition and they were collected in a rather small corridor near the entrance to the museum. The plan being executed will eventually display these precious artifacts in a wonderful display. However, when I was at the museum, they were not on “public” display so please, cut the museum a bit of slack for how the anchor stocks look in these pictures! But I had traveled 4,000+ miles and was thrilled just to be able to see these anchors—and they were kind enough to allow me to take pictures (without flash of course). 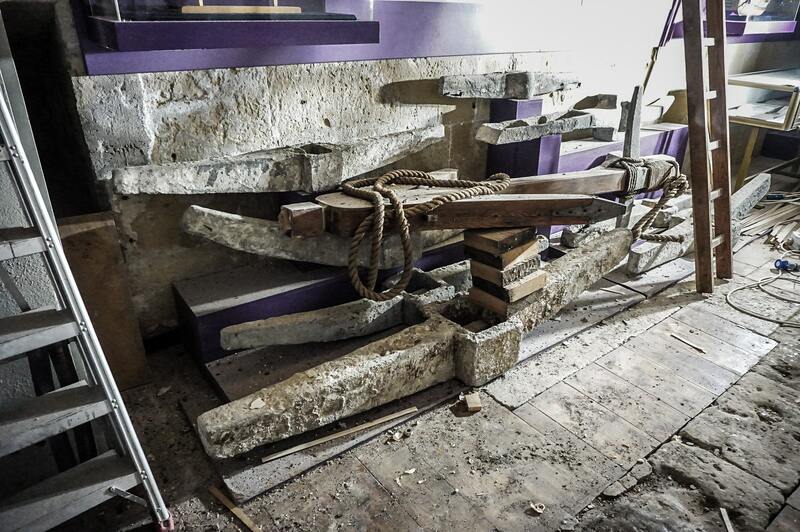 Temporary “home” for the Roman Anchor Stocks that are in the Malta Maritime Museum. In this temporary “home” 11 Anchor Stocks were collected. Ok, so what is an anchor stock? A modern reconstruction of an anchor from the Roman Period. The “Flukes” are the parts of the anchor, usually wooden and sometimes tipped with copper, that dig into the bottom of the sea. At the top of the wooden shank (right) a rope connects the anchor to the ship. The “stock” is made out of lead and often has a wood core,. It helps the anchor to sink and helps to position the anchor so that the “flukes” dig into the sea bottom. 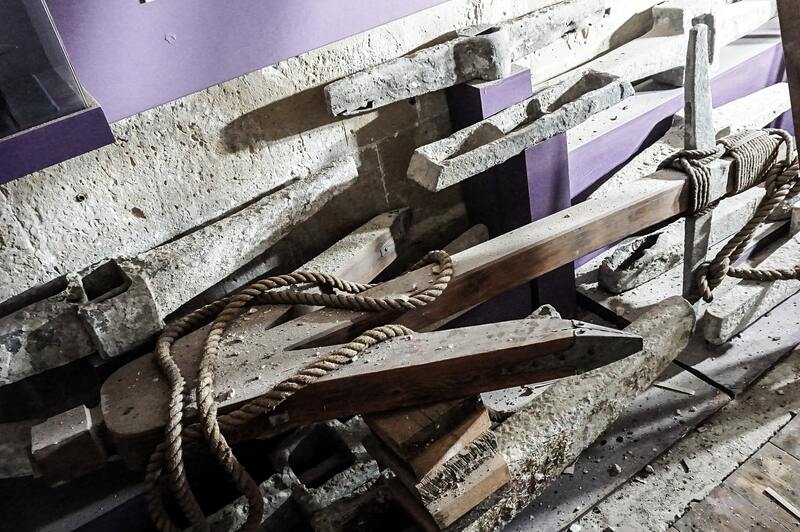 Ok, are any of these Anchor Stocks from Paul’s wrecked ship? See the following blog posts.